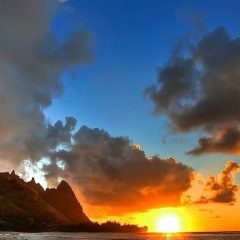 Home » Posts Tagged "Hanalei Bay." Arch slept deeply for the first time since the classified file had appeared out of nowhere to give him his life back but also to offer him death once again, in a life controlled by unaccountable serendipity. He awoke next to the woman who lay just like he’d left her many hours before, with Harpo the Dingo lying across her feet…..